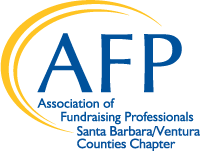 AFP Santa Barbara/Ventura Counties offers scholarships to any current chapter member as well as non-members. With these scholarships, we aim to ensure professional development opportunities are accessible to all members of our fundraising community. We encourage you to apply for one of the opportunities below. Applications for current scholarship opportunities can be downloaded via the links below. To apply, please complete and submit your application to Heidi Whitman, Scholarship Chair, at hwhitman@sbbg.org.